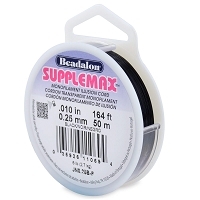 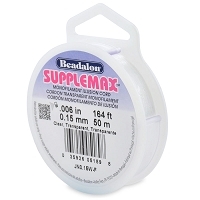 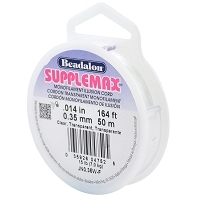 Get FREE Shipping on all SuppleMax Bead Cord today. 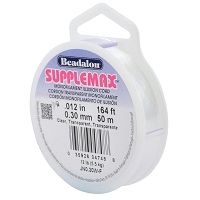 Supplemax Cord is a clear, monofiliment material, specially designed for creating "floating" Necklaces. 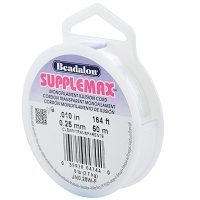 When worn, Supplemax seems to disappear, leaving Pendants and Beads floating in the air!